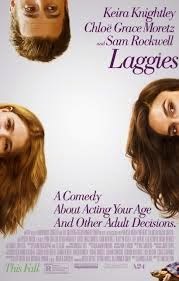 From its description, Laggies sounded like it could provide an interesting spin on the age-old dilemma of growing up uncertain of what you want to do with your life. Although I wanted more back story on the characters, the movie ended up being cute, though I unfortunately can't classify it as anything past a "fluffy romcom." Megan (Keira Knightley) has hung out with the same group of friends since high school, including Allison (Ellie Kemper), who is engaged, another friend who is married and pregnant, and a third friend who is married. Megan is about 28 years old and lives with her boyfriend, Anthony (Mark Webber), whom she has been dating since her sophomore year of high school. 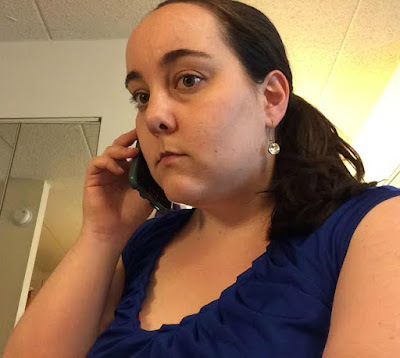 She also doesn't really have any job prospects, even though she has an advanced degree in counseling, so she's currently the "sign girl" - twirling a sign around outside - for her dad's law firm. 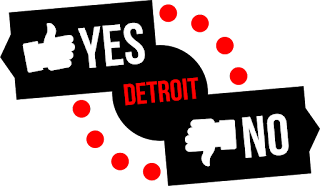 When Anthony proposes, Megan of course says yes, but internally is freaking out, and when he wants to elope, she makes up an imaginary conference to go to, and escapes from her life for the week by staying with Annika (Chloe Moretz), a new teenage friend. Megan's character is definitely relatable in this movie, especially for those in their 20s or early 30s. Even though she has a Masters degree of some kind, she's figured out that she isn't cut out for what her degree is in (counseling), and that it's easier just to be the "sign girl" for her dad and hang out at their house some days. When she meets Annika (Moretz) and her friends, she's brought back to how easy it was to be a high schooler, at least career-wise, and she starts hanging out with them, which Annika's dad (Sam Rockwell) finds extremely strange at first. I will say that Keira Knightley's American accent has improved vastly since Jack Ryan: Shadow Recruit, though it still sounds strange to hear her without her British accent. Sam Rockwell is adorable in everything he's in, and I almost wish he had a bigger role in this movie. Chloe Moretz also does a great job as Annika, who does have more worries than a teenager should have: her mom is estranged, and she also has a crush on a boy she wants to ask out. Yes, see this movie, but know if you are the audience for it or not before going. My parents didn't like the film as much as I did, probably because they are a bit older than me, but I thought it was cute and worth seeing; it's not one I'll think about for days after viewing, but it provided entertainment while I was watching it. I thought the cast all did a good job here, but would have liked to have known more about the characters, especially Megan and Craig (Rockwell - and fun fact, Knighley is 29 in real life and Rockwell is 45, even though they strike up a romance in the movie). The film does make you think about life, though, and how even though 18 and 28 are only ten years apart, the difference between the two ages, and where you should be in life if you are that age, are very big. Laggies is in theaters today, November 7th, and is rated R with a runtime of 99 minutes. 3.5 stars out of 5.